This Introduction to the series is indispensable. Here you will learn the ideas, principles and practice of making perennial meadows. The history of naturalistic planting is explained, the basic concepts of good plant associations are illustrated and the design of perennial meadows fully discussed. 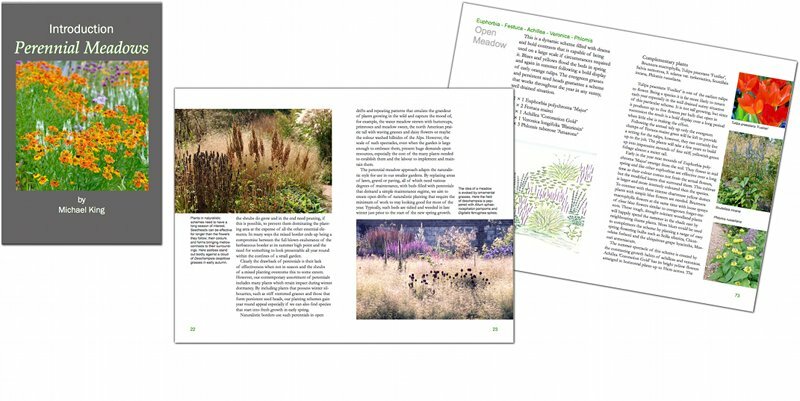 This introduction includes four fully illustrated examples, taken from the following books in the series to offer a glimpse of prairie, open meadow, dry steppe and shady meadow perennial planting schemes. With 67 images and 6 illustrations this 80 page eBook in PDF format represents incredible value at only 4.99 Euros. Download some sample pages from Introduction – Perennial Meadows here.